One person was killed while four others including three minors were severely injured after their tricycle collided head on against a commuter jeep in Alburquerque on Sunday afternoon. Arnel Fernandez, 38, the ill-fated tricycle’s driver, sustained severe injuries to his head which caused his death, said PO3 Richard Timbal of the Alburquerque police. Fernandez’ passengers, Necitas Paredes, 46, and her daughter and two sons were injured. According to Timbal, a jeep heading towards Tagbilaran City was counterflowing before it slammed straight into the tricycle which was moving towards the opposite direction. 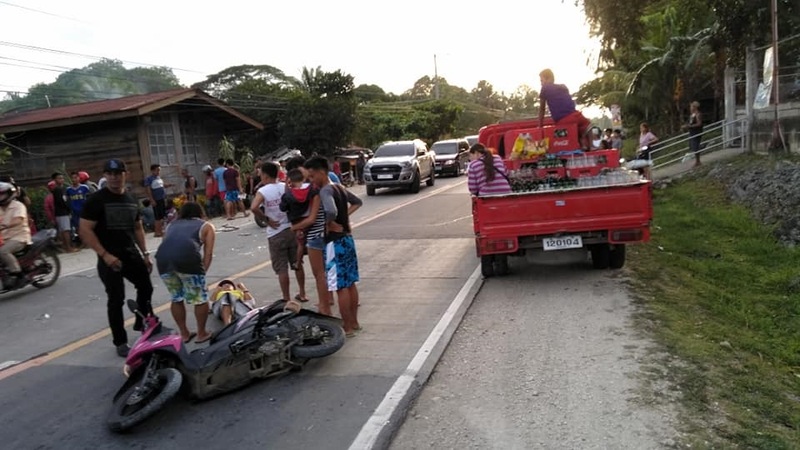 The jeep, driven by one Ariel Caderao, 43, of Lila town, crossed to the opposite lane as it tried to avoid a motorcycle which crashed in front of it. The motorcycle driven by Dyisabel Gulay reportedly went out of control and crashed while the jeep was right behind it. Timbal based on their investigation said that the tricycle went off road due to the impact. Residents in the area helped the victims and took them to the Governor Celestino Gallares Memorial Hospital in Tagbilaran City. However, Fernandez was declared on arrival.